Copyright © 2019 All Rights Reserved. 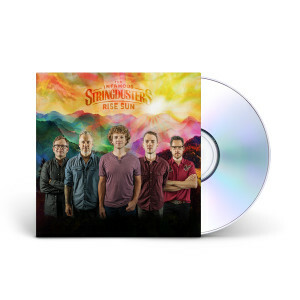 Musictoday II, LLC, is the seller of all The Infamous Stringdusters merchandise and is solely responsible for all aspects of your purchase. Really liking Rise Sun. I can’t wait to hear some live versions ! Thank God for the Stringdusters!!! Every album just gets better and better, and each Duster ups his game with every succeeding album. Rise Sun is a great example. Thank you guys for putting out exceptional and unique music. Can't wait to see (and hear) you again (You killed it at Meow Wolf in Santa Fe)! Great album from 1st song to last. A very diverse array of songs with intelligent and meaningful lyrics that flow seamless from one to the other. Typical Dusters music evoking the best of Bluegrass and newgrass with both beauty and verve. As per usual, you never let us down. The new recording is stellar! Since I received it last week, I've listened to it at least 4 times. The energy is terrific and the way you transition between songs is so cool and well engineered! Thank you for such fantastic, meaningful music. Excellent music as always from The Stringdusters . New CD is awesome ! This album to me represents the high point for this bands creative capabilities. I have been a fan of the Dusters since their beginning and feel this record is their best yet. The song writing and musicianship is unparalleled compared to their contemporary musical peers. Love this new music and very much look forward to seeing the songs mature in the live setting as they do what they do best....lay it out each any every night! Thank you! Stay in touch with the Stringdusters! Sign up now for store news & receive 15% off!